The Paula Carr Diabetes Trust is delighted to be supporting Hypo Hounds, a new diabetic alert assistance dog programme. 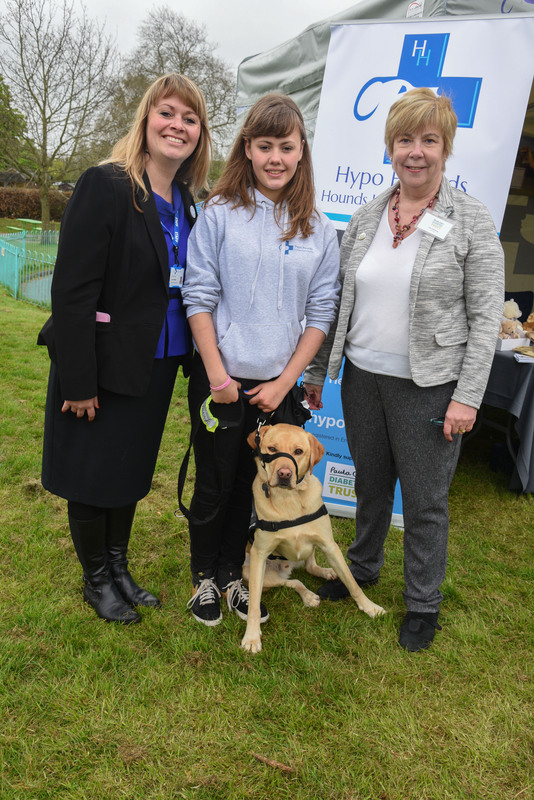 Hypo Hounds, which helps to train pet dogs to develop life-saving skills, launched at the Tenterden May Fayre & Dog Show on Monday 2 May. The charity helps children and adults with diabetes whose pet dogs have the potential to become diabetic alert dogs. These very special pets have such sensitive noses that they can detect a rise or fall in their owners’ blood sugars. By alerting their owners or their families to these changes, diabetic alert dogs can prevent potentially life-threatening attacks of hypoglycaemia and hyperglycaemia. Thirteen year old Sophie Pearman and her best friend Scooby the Labrador helped at the launch. Scooby is about to become the first dog to complete the Hypo Hounds training programme. Originally a companion pet for Sophie, who has Type 1 diabetes, he began alerting her and her parents about changes in her blood sugar levels when he was only eight weeks old. The Paula Carr Diabetes Trust has been supporting Hypo Hounds by funding work to register the charity with the Charity Commission. The Trust has also assisted by funding the production of promotional materials including the development of the Hypo Hounds website by Tenterden web developers Dewar Green. Donations can be made by texting HYPO15 and the amount you wish to donate to 70070.